Are You Parenting A Teen Alone? Are you — or someone you know — having to parent a teen alone? Would you like someone to bounce ideas off of, and walk beside you as you are navigating the Teen Years? It’s not uncommon for parents to get triggered by their teen’s behavior. Unfortunately, yelling and punishment do not always produce the results you were hoping for. Taking a step back and exploring what might be going on—for both you, and your teen—is a more effective way of resolving the issue. As inconvenient as it may seem, children frequently bring to light a parent’s vulnerabilities and potential areas for growth. Instead of blaming your child for provoking your emotional reactivity, there is great value in understanding how your own past may be contributing to any unhelpful responses to your teen. I believe that both parents and teens are always doing the best they know how to meet the challenges they are encountering in their lives. Which is why I love supporting parents in discovering solutions to problems their teen may be experiencing at home, or at school. As a parenting coach who can help point out alternative points of view, together we can begin turning things around in just a few short weeks. 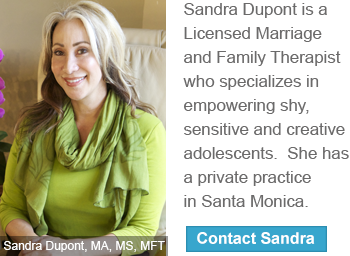 I specialize in working with teens & young adults–from all cultural backgrounds – whose path of development is a little more complex than others.